My vanity had been leaving me a little uninspired. So, I decided it was in need of an posh update. I made this my weekend project. 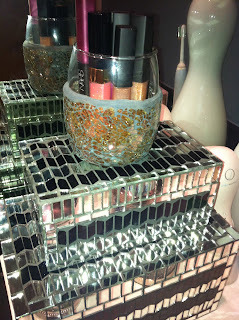 Most of these gems were found at HomeGoods one of my favorite places for posh home finds. Most of the stock found at HomeGoods is overstock from better retailers and specialty stores, like Bloomies. This would have been and even better post if I'd taken the befores but trust that this is infinitely more luxe than it was before! Stay Posh! Gorgeous! 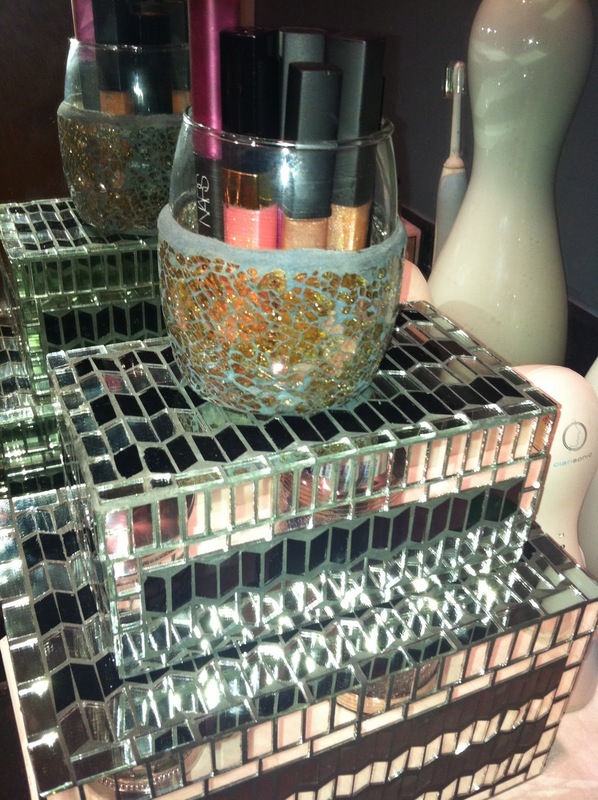 Love the make-up storage! Your bathroom is to die for! Can you help me out!